Beyoncé has served up plenty of memorable looks throughout her career, but she's giving one lucky (and loaded) fan a chance to recreate her "Formation World Tour" get-up with one of her very own accessories. 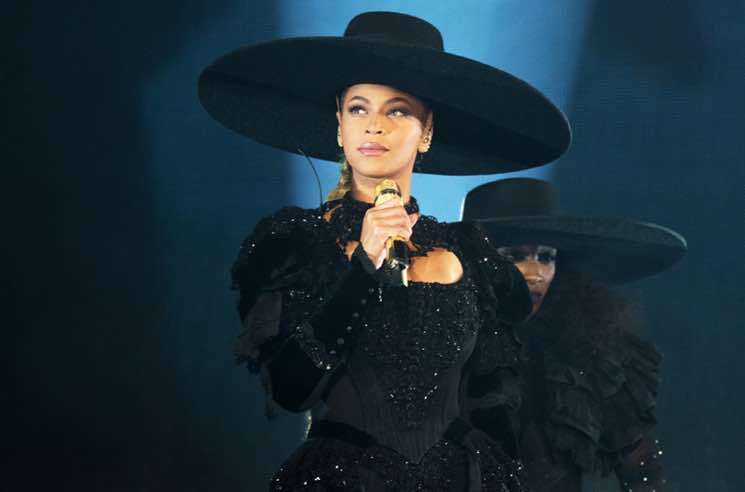 Yes, the wide-brimmed — like, really wide-brimmed — black hat that she wore onstage for the duration of last year's tour is up for auction. The 10-by-8-inch felt hat has been signed by Queen Bey herself, and it comes with an accompanying photograph of the Lemonade singer sporting the famous headpiece. All proceeds from the sale of the hat will go to the Lung Transplant Project. So at least when you drop thousands of dollars trying to outbid fellow members of the Beyhive, it will be for a good cause. At press time, the bidding is already above $2,000 USD, but you can throw more money at it over here until the auction closes on November 6.